We are thrilled to be sponsoring the i-UG International i-Power Event this June. Not for profit organisation i-UG offers members the opportunity to meet like-minded professionals at up to four conferences a year to share knowledge and best practice, hear top-level speakers from IBM, Business Partners, the vendor community and users themselves. A valuable chance to gather information at events held throughout the year that assists members with key decision-making about IT and business in general. 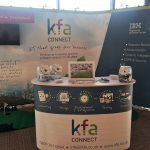 KFA Connect are thrilled to be one of the sponsors at this year’s International i-Power event! 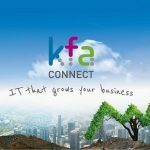 The event will be held this June 12th & 13th 2018 at the Doubletree Hilton Hotel, Milton Keynes and gives attendees a chance to hear International speakers such as IBM i security expert Carol Woodbury, Paul Tuohy and Jon Paris as well as lecturers and presenters Steve Bradshaw and David Spurway. 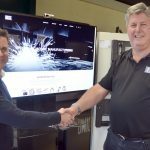 There will be International experts covering Security and Development and i-UG are hosting the System i Developer University (SiD) offering in-depth lectures on IBM, RPG and DB2. This has been run in the USA for many years and 2018 sees it being re-introduced into Europe in conjunction with i-UG. This year the event also includes a sit-down dinner and entertainment giving a great opportunity to network.